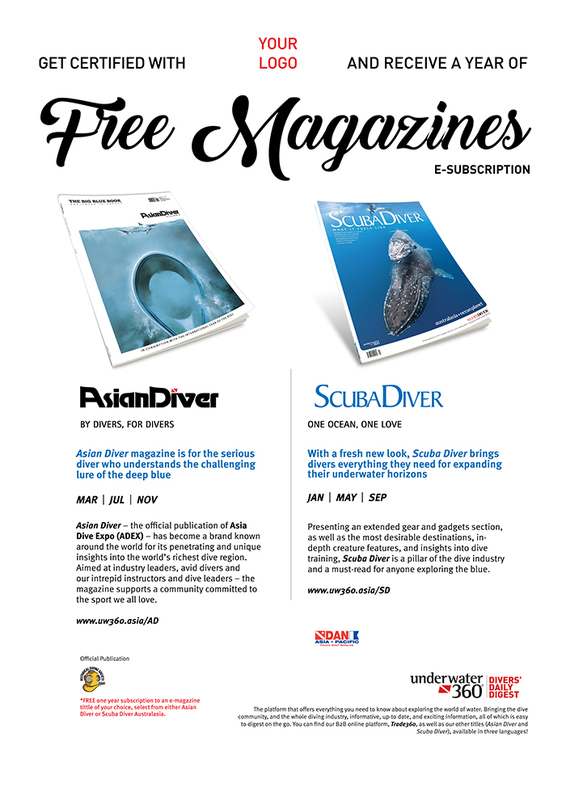 A promotional poster will be placed in your dive centre to inform divers of their free subscriptions. *In return for the free membership benefits granted to Corporate Members, all Members are obliged to provide special offers for Diveaholics Members, which will be listed on the uw360 website. **Do note that all free subscriptions will end on the 31st of June 2019 regardless of membership start date.